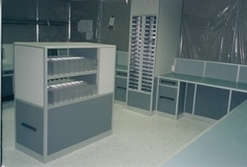 Alusett offers custom and standard enclosures. Enclosure for every sized electronic instrumentation is available ranging from the needs of small security devices to room-sized furnishings to house multi-bay computer business systems and command centers. 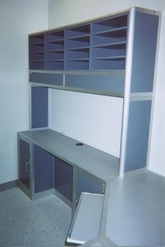 The enclosures include consoles, control desks, racks and rack mounted systems (17", 19", other), mobile process control units and computer support furniture. Enclosures may be constructed out of extruded frame systems and/or sheet metal fabrication. A large selection of finishes are available. Alusett offers custom and standard control consoles for all applications, where complete command center operation is required. The units can be fabricated to any configuration and size. 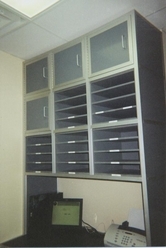 Multi-bay floor to ceiling units can be modularly constructed, easily modified and/or added to.